See to below for answers to common questions. For all other inquires feel free to contact us. An experienced Hawaii personal injury attorney will provide you with information on the state, federal, and local laws that may affect your situation and help fill in the blanks as to your rights and options. At the law firm of Attorney Michael Healy we can review the details of your case free of charge to help you decide if it is in your best interest to pursue a case. What are legal services going to cost me? How can I prove an employer is guilty of discrimination or sexual harassment? If you have become the victim of sexual harassment or employment discrimination, Attorney Michael Healy will thoroughly investigate your situation and attempt to gather evidence that can help you fight the unfair and illegal treatment. It is a good idea to follow your employer’s discrimination or harassment policies and file a complaint through the official channels. If you are worried that going this route might bring retaliation or further discrimination, we can take the reins and move forward with investigation process and look into filing an official complaint on your behalf. Time and time again, studies regarding insurance claims after auto, pedestrian,boat, motorcycle, and other accidents indicate that accident victims who hire an attorney collect an average of three times more compensation than victims who do not seek representation. Regardless of whether or not it is clear who was at fault, a personal injury attorney can ensure your rights are protected, lead an independent investigation, and see to it that you request the full amount of compensation you deserve. What do I need to start my case? you may have had with insurance companies up to this point. If you are involved in an employment discrimination, sexual harassment, or retaliation situation,please bring disciplinary letters or emails, and a record of all communication regarding the event. If you are seeking criminal representation, please bring the complaint or summons and any related paperwork. Most of the documents needed for your case — such as medical reports, medical bills, photos of the scene and injuries, police reports, and witness information — can be obtained by our office once a retainer agreement is signed. Remember that anything you say to the insurance companies is being recorded and can be used against you in an attempt to withhold settlement money. The great thing about hiring a Honolulu personal injury attorney like Michael Healy is that you don’t have to worry about dealing with insurance company representatives. Our team will handle all insurance communication from the moment you hire us, ensuring that your rights are protected and your best interests are top priority. You are strongly advised not to sign anything without consulting our injury attorney. injury lawyer as soon as possible. Keep in mind that many types of cases involve a statute of limitations, whereby a time limit is imposed on bringing a claim. Remember that the sooner you hire an attorney, the more likely it is that crucial evidence will be preserved. 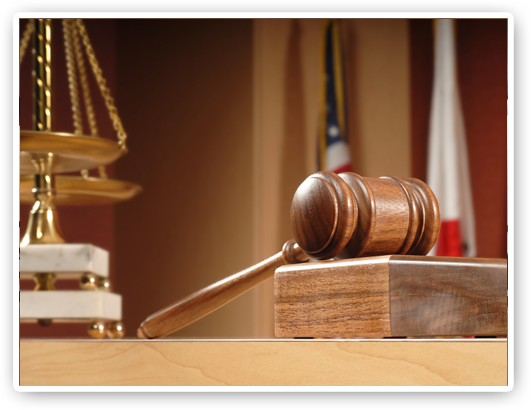 Why should I choose Attorney Michael Healy to represent my case? Attorney Michael Healy has the experience, resources, and extensive legal background you need to achieve a positive outcome for your case. When you choose Mr. Healy and his team to represent you, you can expect nothing but the highest quality representation, thorough investigation, and close personal attention. If you’ve got questions for our Honolulu personal injury and criminal defense lawyer, it won’t cost you anything to come in and talk to us. To get started, please contact our law firm to schedule a free consultation with Attorney Michael Healy. What materials do I need to bring to an initial consultation? Generally any and all insurance policies (in motor vehicle accidents), disciplinary letters or emails (in Labor cases), and a copy of the complaint or summons in criminal cases. Most of the documents needed to represent a client will be obtained by my office once a retainer agreement is signed. As soon as something happens wherein you believe you may need a lawyer. Time is of the essence in every case, not only to preserve a statute of limitations, which is only 90 days after the EEOC or Hawaii Civil Rights Commission issues a right to sue letter in discrimination cases, but to preserve important evidence. If you think you need a lawyer, call or email me right away.